Smartphones have become our best friends not only in terms of providing entertainment but also as a means of keeping our work life organized. With the increasing trend of BYOD (Bring Your Own Device) setting in at most workplaces, app developers have started indulging in increased efforts towards the designing of business apps for Android which would help users reap the maximum benefit from taking their smartphones to work. The following are the must-have business apps for Android users who seek to take full advantage of their Android device in order to make their work easier and more organized. This business app for Android is particularly designed to help workers who are always on the road where it becomes quite a task to carry your heavy laptop all the time in order to use programmes like Microsoft Office Word, Excel and PowerPoint. 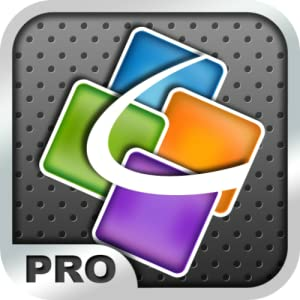 Quick Access Pro, which is available for download on Google Play, provides easy access to the mentioned programmes which can be used to open as well as edit documents, spreadsheets, presentations and even files in PDF format. The app also lets its users enjoy a spell check feature along with modifying options for documents. Users also have the facility of storing their important data using cloud storage accounts which they can then be accessed from any device. A clever app developed to facilitate the BYOD culture, Divide can be really useful for users who want to use their own device for work purposes but at the same time don’t want their personal data mixed up with office work. This app that can be obtained from Google Play makes it possible for users organize their data by dividing it into two separate sections – namely, work and personal. Not only does it offer more ease in terms of organizing data, it also allows data encryption for the work section in order to minimize security threats to users while they use their smartphones to access sensitive official information. It also allows the work section to be monitored by the user’s employers while keeping data in the personal section entirely out of their reach, protecting the user’s own privacy. Like any cloud storage app, this business app for Android allows users to store their files by uploading them straight to Google Drive from their Android device and then share them with their contacts. This app makes it easier to coordinate work with colleagues. Users also have access to files which have been shared by their contacts, allowing for two-way co-ordination. Office documents as well as PDF files can be accessed, shared and edited by multiple users at one time as they can collaborate with each other in real time. Users are provided storage space of up to 5 GB, and not only can they access files stored on Google Drive, they can even choose files that they need to be available offline so that they can be accessed even when no internet service is available. A useful business app for Android that supports easy data sharing, Bump allows two smartphones to be “bumped” together in order to allow speedy and simple transferring of contact information between the two devices. The app can easily connect to another phone having Bump installed on its system after the respective users have confirmed that they want to share their information. Readily available for download on Google Play, Bump can be effectively used to speed up the exchange of information such as email address and phone numbers at official networking events. Another blessing that can be found at Google Play is this handy business app for Android which can serve to be an employee’s ideal helper when he is presenting to, say, the bosses or even his own team. With its ability to access and control presentations by connecting through Bluetooth or Wi-Fi, this app can be used by the owner to jump from slide to slide using slide images and also view slide notes. It is compatible for supporting embedded audio, video and animations and can run files created on any of Windows 8, 7, Vista and XP. Not only that, it can also act as a laser pointer for pointing out something important on the slides to the audience. PDF files account for a large number of documents that we may be required to work with at the office. Nothing works better than the good old Adobe Reader when it comes to viewing, managing and sharing PDF files. 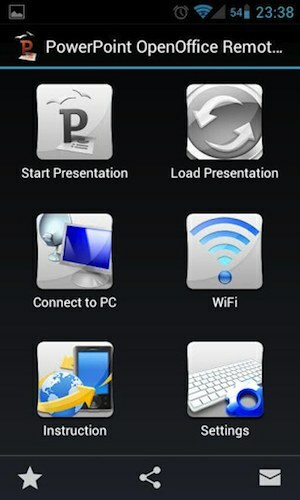 Thanks to Google Play, the Adobe Reader can be easily downloaded as a business app for Android users. Not only can they access PDF files, users can also fill out forms as well as sign documents and even use cloud storage provided by Acrobat.com to store their files. Users can make full use of features like highlighting, adding text, underlining and so forth on PDF documents. While most apps seem to facilitate employees at work, Google Play also has a little something to offer for employers too. The Simple In/out can be the perfect monitoring app for a business in order to monitor when an employee is leaving the work place and when he is checking in. Free to use for up to three users and quite economical otherwise too in order to monitor more people, this app performs the mentioned function using its simple geo-fencing feature which automatically performs a check-in and check-out for users with the help of their Android phones when they enter or leave office premises. While you might be taking your Android phone to work and using it to perform work-related activities, it is just one of the many devices that you would be using for this purpose. Evernote is a clever business app for Android that allows users to take notes, create to-do lists as well as voice reminders, and capture photos while making all of the data stored using this app available to be synced across all the various devices being used by the device owner. The data can be accessed and searched through with the help of this app which can turn up results for searches made using keywords from text that may be present even in images.